Become the Ultimate ‘Master Thief’ in a Gas-Lit Victorian Underworld. Absolute steal, devious digital board-game, Antihero is Free this weekend on Steam. During the free weekend, players can jump online in casual head-to-head matches and ranked PvP multiplayer. In addition, they can play through the story-driven campaign. 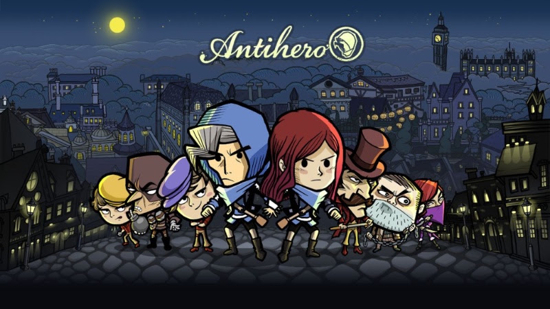 Antihero also includes two online game modes. ‘Casual Matches’ are asynchronous affairs - players can take their time to their next move, and have multiple games running simultaneously.. In ‘Live Match’, players face their opponents in real-time, with a turn-timer upping the pressure dramatically! Experienced thieves can also set up custom “House Rules” to tailor matches to their tastes. Even better though, Antihero is cross compatible with mobile too!